Ajay Devgn is a famous Bollywood actor who has acted in films like Hum Dil De Chuke Sanam, Singham and many others. He is now all set to star in RRR directed by S.S.Rajamouli which also stars Jr. NTR, Ram Charan, Alia Bhatt and many others. The star celebrated his birthday on April 3. Many celebrities and fans wished him on social media. Among them was the cricket player Krunal Pandya who wished him for his birthday stating the Singham star as his Doppelganger. 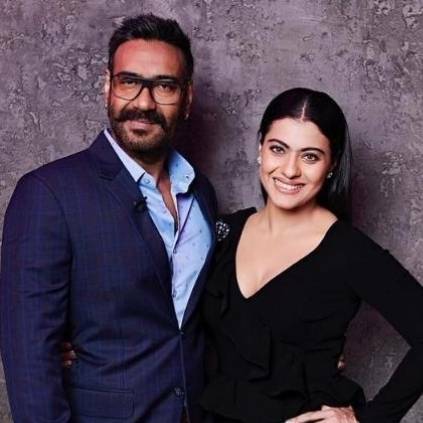 This seems like a fun invite and it would really be interesting to see Ajay Devgn and Krunal Pandya doing a film together. The trailer of Ajay Devgn’s De De Pyaar De with Rakul Preet Singh, Tabu was released few days back and is set for worldwide release on May 17. People looking for online information on Ajay Devgn, Krunal Pandya will find this news story useful.